One does not simply post about Hobbiton, which is why I invited someone who has actually been there to share her travel adventures with us. I hope you like pictures. Lots of pictures. And hobbit holes. Heather Ostler and I have a lot in common: Harry Potter, Lord of the Rings, pugs, ballet, writing, and a love for traveling. 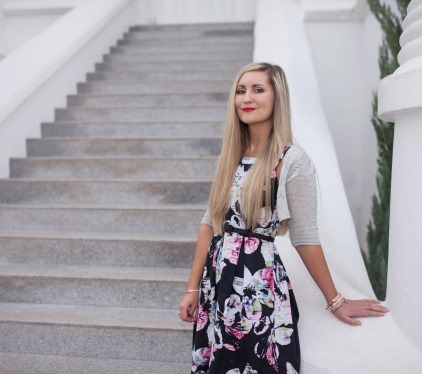 She is the author of The Shapeshifter's Secret, which you can find online, in stores, and even at the Barnes and Noble in Hawaii. 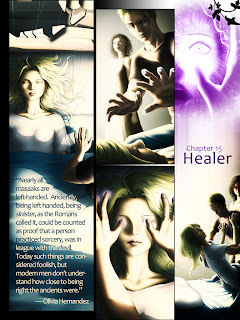 The cover for the second installment in the series, The Siren's Secret was recently revealed on her blog. In the heart of New Zealand's north island you will find rolling, grassy hills, bleating sheep, and small, round, colorful doors. This is Hobbiton. When Peter Jackson and his crew began looking for a location to film the shire, they flew in a helicopter to get a bird's eye view of the perfect spot. When they found the Alexander family sheep farm, they asked the family to sign a contract without releasing what movie they were filming. The Alexander family said yes, and the nine month construction began for The Lord of The Rings' set. Short Announcement: I Finished My First Draft! Yes, the post about Hobbiton, New Zealand is coming, but I wanted to share that I finished the first draft of my novel today! And I'm so happy with it as a first draft. Lots of potential. Lots of areas to strengthen. I can't wait to start editing. To celebrate, I went out and ate at one of my all-time favorite places: Cafe Rio. Right now the manuscript sits at about 131,800 words. For comparison, the third Harry Potter book is 107,253 words, and the fourth is 190,637 words. But I'm going to do a lot of condensing and of course, make a lot of changes as I mold it to match what's really in my head. So, if you need an excuse to go out to a show, to throw a party, or eat some chocolaty dessert, you can totally use the completion of my first draft as an excuse. You are just celebrating on my behalf. In other news, I fulfilled my dream of being a guest on a podcast! I always imagined that happening after I had a few novels out. . . Anyway, I haven't listened to it because everyone hates listening to her own voice, right? But if you want to, you can right here. It's about social media in the writing world. I think we covered some valuable points. Also, my sister-in-law Shallee McArthur did this post on beginning writing vs. bad writing—and there is a difference. 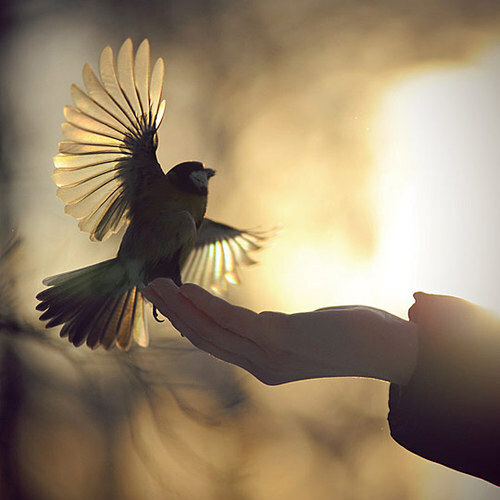 I loved it so much, I'm linking to it. Read it here. Thanks. And don't forget to go party. "Once a Thief, Forever a Thief." Les Misérables takes advantage of perceptions. As I mentioned before, Javert’s perception of Valjean is influenced by criminal stereotypes. 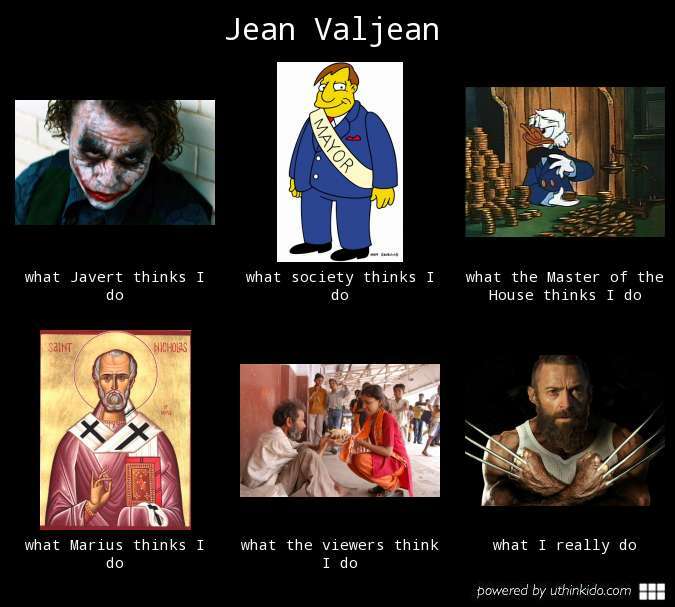 Other characters view Valjean differently. The Bishop sees him as a brother. Cosette views him as a caring yet secretive father. But Les Misérables goes beyond other characters’ perceptions. 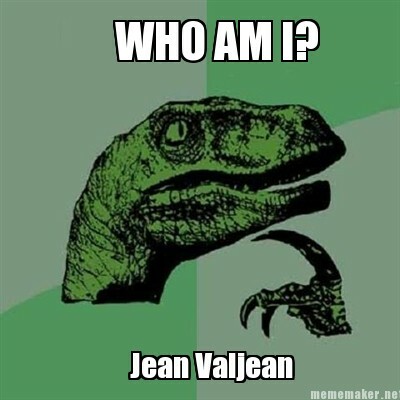 It also explores how Valjean sees himself. Hugh Jackman pinpointed it well in one of his interviews. 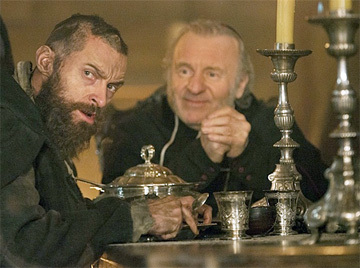 He said that Valjean is striving to be a good person, but constantly sees himself falling short. 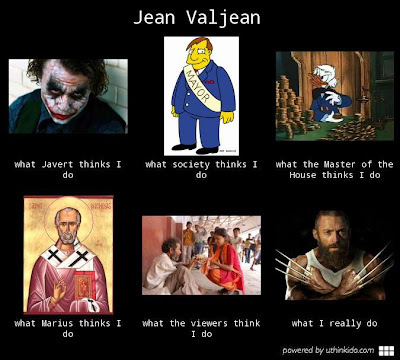 As an audience, we get a perspective of Valjean that is somewhat different than all of these. Incongruent perspectives make this story more interesting. Can you make perceptions surrounding your character incongruent? Having a character that is despised by others, but loved by readers is a common example, but still effective because it fosters sympathy for that character. Valjean’s story wouldn’t have been as powerful if he and all those around him thought him to be a saint. Play with perceptions in your story to see if you can give it more of a punch. Javert is an interesting antagonist because he isn’t evil; he isn't really even “bad.” Sure, sometimes the book depicts him as a bit savage, maybe a bit of a maniac, but he’s more devoted and honorable than most people. 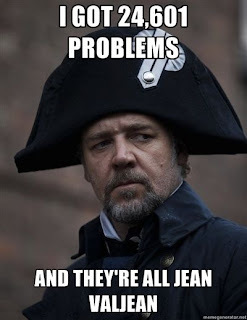 Like Valjean, Javert also feels inadequate in his relationship with God. 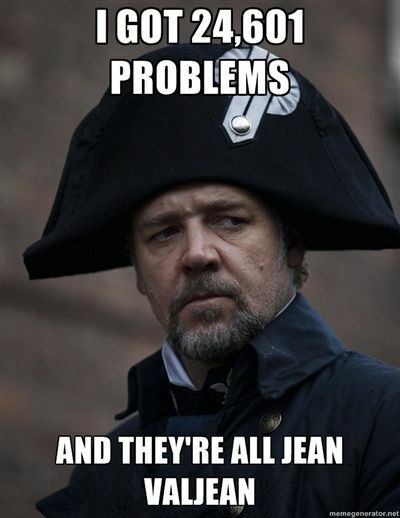 In a different story, Javert could easily have been a hero. The problem isn’t so much his qualities as it is the imperfect laws he’s devoted himself to. Ben Wolverton, age 16, was in a tragic long-boarding accident on Wednesday the 4th, 2013. 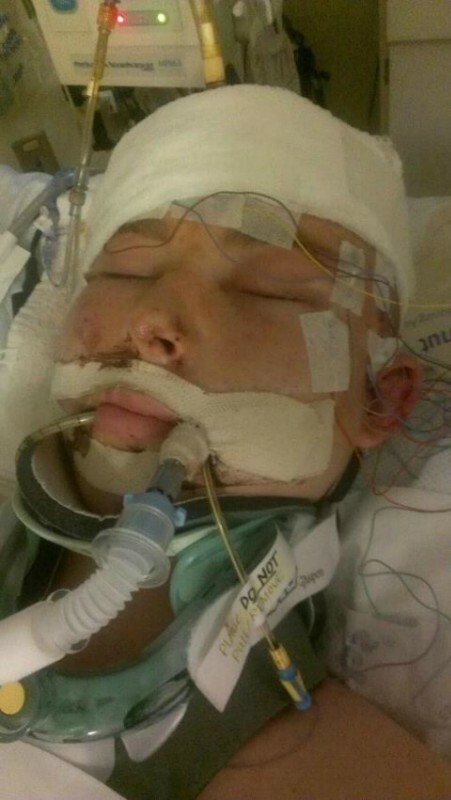 He suffers from severe brain trauma, a cracked skull, broken pelvis and tail bone, burnt knees, bruised lungs, broken ear drums, road rash, pneumonia, and is currently in a coma. His family has no insurance. Ben is the son of author David Farland, whose books have won multiple awards, and who is widely known as a mentor to many prominent authors, such as Stephenie Meyer and Brandon Mull. Costs for Ben's treatment are expected to rise above $1,000,0000. To help raise money for Ben, we are having a book bomb today, right now on behalf of Ben. You can learn more about Ben's condition, or simply donate to the Wolverton family here: www.gofundme.com/BensRecovery Join the cause on Facebook. For those that don’t know, a book bomb is an event where participants purchase a book on a specific day to support the author, or, in this case, a young person in serious need: Ben Wolverton. Having everyone purchase the book on the same day boosts the book's presence online, which leads to even more sales. All money David Farland makes from his book bomb books today will go to Ben's medical expenses. What Book are We Promoting? 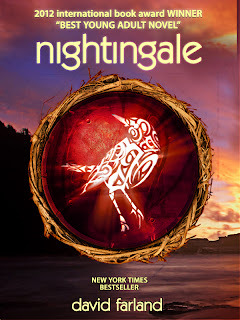 David Farland’s young adult fantasy thriller Nightingale has won seven awards, including the Grand Prize at the Hollywood Book Festival—beating out ALL books in ALL categories. 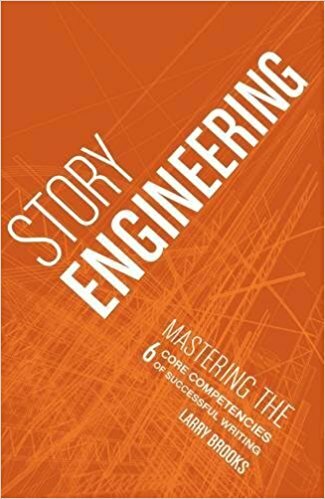 It has been praised by authors such as James Dashner (The Maze Runner), Brandon Sanderson (Wheel of Time), and Paul Genesse (Iron Dragon series), and has received four and a half starts on Amazon. You can read reviews here. Read a review by Hypable.com here. Bron Jones was abandoned at birth. Thrown into foster care, he was rejected by one family after another, until he met Olivia, a gifted and devoted high school teacher who recognized him for what he really was—what her people call a "nightingale." Nightingale is available as a hardcover, ebook, audio book, and enhanced novel for the iPad. Buy it today to help Ben! "Cosette, Your Father is a Saint"
In my last post, I explained how Les Misérables evokes strong emotions, contains powerful themes, tells two kinds of truth, and uses all five types of conflict. If you missed it, you can read that post here. But Les Misérables accomplishes a lot more than all that. Here is part two of my dissection. Les Misérables is loaded with complex relationships. When Valjean takes in Cosette, he is suddenly awakened to what it is like to have someone to love and to have someone love him. And he’s “afraid of failing” her. 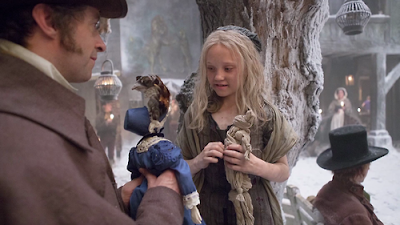 Their relationship is so precious to him that he doesn’t want to mess it up, so, he refuses to tell Cosette about his past, afraid she will think less of him, that it would somehow ruin what they have. Sure, Valjean gives other excuses for not telling her, but they’re just cover ups. I get the strong impression that Cosette wouldn’t mind so much about his past, after all, he was stealing bread to save a starving child. Valjean is far more self-conscious and ashamed of his origins than Cosette would ever be. So he hides it from her. This makes his death scene all the more powerful because he hears Marius, one of the only people who knows his true life story, tell Cosette that he is saint. Not a thief. Not a convict. A saint. But even then, even then, he still can’t bear to tell Cosette his backstory. He asks her to read it after he has passed away.